Savoury or sweet, muffins are irresistible. As the world tilts towards all things green, why not muffins? 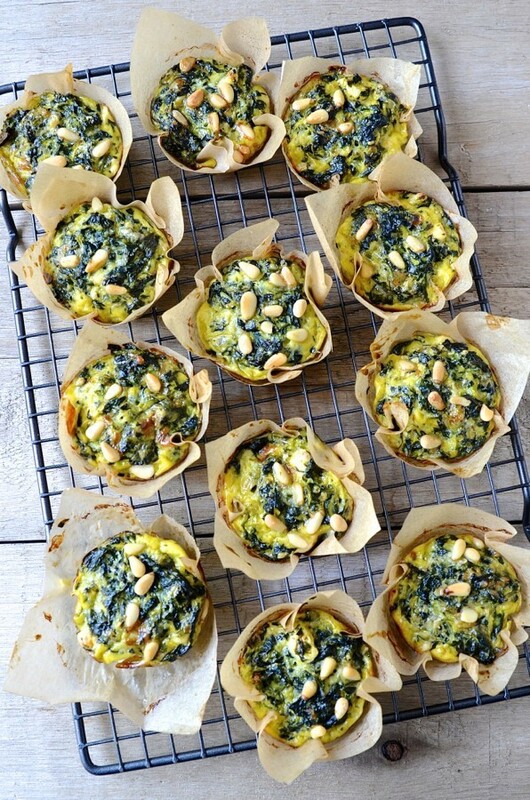 My cheesy spinach and zucchini muffins certainly won’t reduce global warming, but will hopefully change the way you think about muffins, especially the savoury kind. With mozzarella, parmesan and feta in the mix, you just know they’re going to be good! They’re gluten-free, banting-freindly and packed with two of our 5-a-day to support good nutrition. As a mother it can be quite a challenge to ‘sell’ the spinach deal. Packaging this dreaded green and zucchini into one cheesy muffin however, is a triumph. 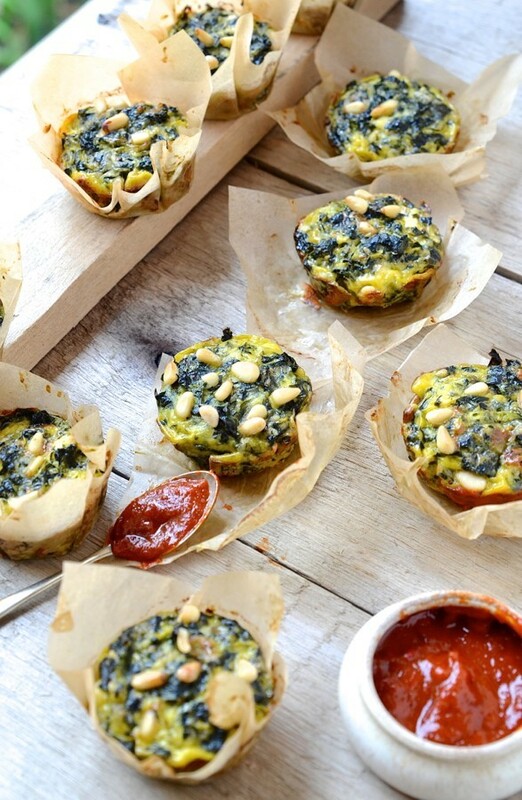 Let’s be honest, plain wilted spinach doesn’t have mass appeal for either kids or adults, but topped with creamy pine nuts and baked into a golden-cheesy muffin and we have a winner. Somewhere between a vegetable soufflé and mini quiche, these muffins are as good served warm or at room temperature. For a hearty brunch, serve with roasted tomatoes, creamy mushrooms and crispy bacon. Make these in advance for fuss-free midweek breakfasts and reheat when needed. If you’re on the hunt for a punchy homemade tomato sauce to serve alongside these savoury bites, follow my recipe for roasted candied tomatoes and finish off with a quick blitz in the processor. Easy, convenient and just delicious. 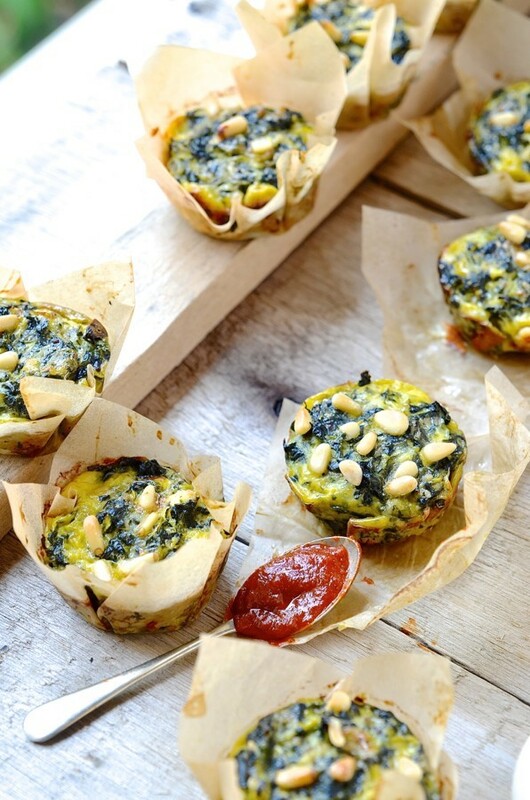 Oh yes, with summer now in full swing, wrap these cheesy spinach and zucchini muffins up for your next picnic. No plates or cutlery required, just hands and good old South African sunshine! Heat the olive oil in a large based pan. Add the spinach and wilt down. This should only take several minutes. Now add the grated zucchini and cook for several more minutes until the water is completely evaporated. Season with nutmeg, lemon zest, salt and black pepper. Set the spinach mixture aside to cool slightly. In a large bowl, whisk together the eggs, wholegrain mustard and cream cheese. Stir through the mozzarella, parmesan and feta cheese. Add the spinach and zucchini to the egg mixture and fold through. Preheat the oven to 180º C. Spray a 12 – hole non-stick muffin tin with cooking spray or line with paper cases. 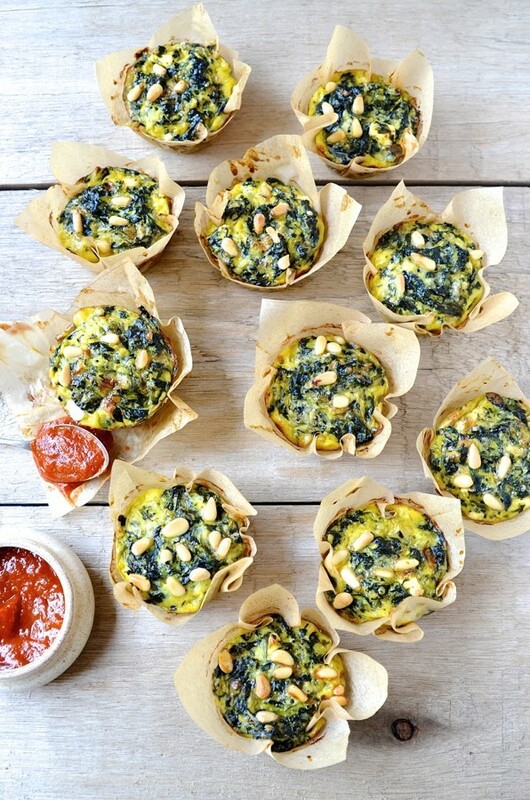 Divide the spinach mixture equally into each muffin cup. Scatter over the pine nuts and bake for 25 minutes until golden and puffed. I usually place the tray under the grill for 2 minutes to brown the muffin tops. Allow to cool for several minutes in the muffin tin before un-moulding. Serve warm or at room temperature. Can these muffins be frozen succesfully? Hi Lydia. Yes, they freeze well. Just defrost and reheat briefly in the micro or in a preheated oven of 180 C for several minutes. Thanks for this great recipe, Di! It looks delicious! Pleasure Zirkie. 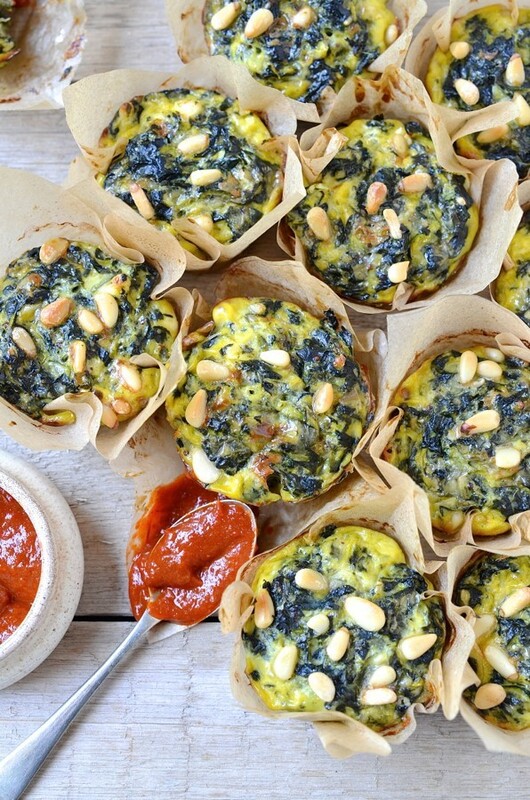 These muffins are such a great way to pack loads of spinach in! Made a batch for our lunchboxes and they are so tasty!! Great as a snack. Will also be making them a bit bigger for a meat free Monday supper. 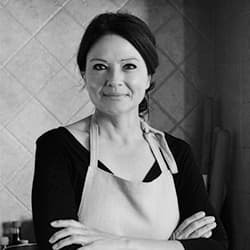 Thanks for another great recipe Di! Pleasure Michelle. Also a great as a side for brunch. Delicious with roasted cherry tomatoes. Thank you Di – I have just made these muffins. They are delectable!! Great for my husbands lunch for work tomorrow. A double batch is almost best! They disappear in a flash. To make the paper liners I cut squares of parchment paper and press it firmly into deep muffin tin liners.